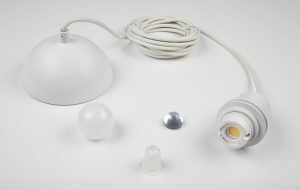 DropLED: The universal LED ceiling assembly. Announcing an evolution of the traditional ceiling assembly, with our new product, DropLED. Giving all pendants a dedicated LED option, this dimmable luminaire consumes minimal energy while providing beautiful lighting. It’s a simple LED module that does not require complicated installation or need a bulky driver to operate. 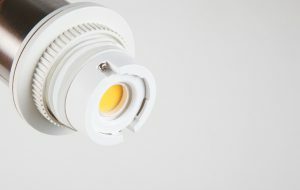 Our integrated module now means you can specify LED in areas that were previously not energy efficient, such as in traditional lampshades. 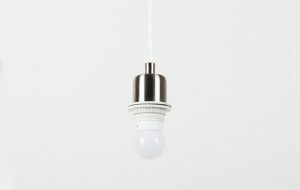 The DropLED unit can be made to fit any existing E27 (or E26 if you are reading this in North America) fitting that uses a standard screw fit; meaning there’s no need to alter any other specifications to have the latest LED technology. With current European legislation dictating that a minimum 75% of the lights in any new build or major refurbishment (both residential and commercial) need to be energy efficient, DropLED opens up a world of possibilities. Designers now have greater freedom when specifying and can achieve 100% compliance! 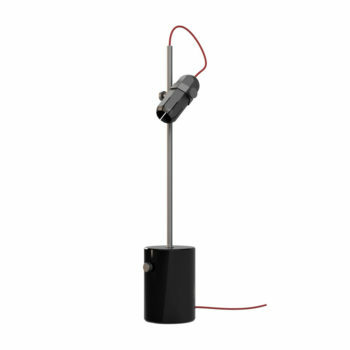 – It’s dimmable, compatible with leading/trailing edge and Triac/Lutron dimming. 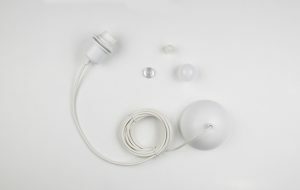 – It comes with optional bulb accessories to achieve different lighting effects including: a 270° globe diffuser, a clear spotlight lense, and a frosted cylindrical filament. 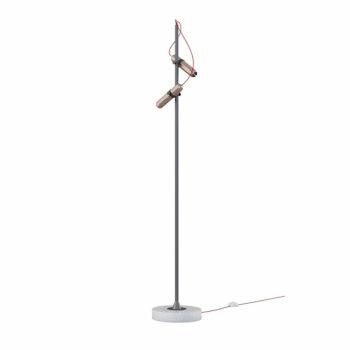 – We can supply all our standard table lamp bases such as Trumpet and Tripod with the same module by special order, perfect if you want to save energy costs in a larger hotel or residential installation. 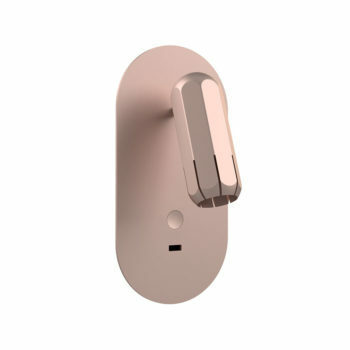 – The DropLED specifications are as follows: CRI90, maximum output of 900lm, standard colour temperature of 3000K (also available in 2700K and 4000K) and long life, lasting over 30,000 hours. – DropLED versions of our CAE27 & CAE26 ceiling assemblies will be available from 1st February 2017 and can be used with any lampshade or E27/E26 from anywhere in the world.